Are you looking for a profitable activity? Kilinda's offer you a professional machine with production capacity of up to 75 parts per minute. . Gluing: Glue transportation by thread with capacity of 4Kg. Optional: Spray glue application for the filtering with thread, in the two models. 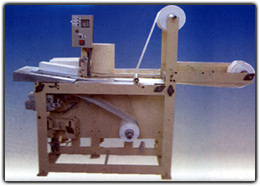 Diaper Winder, only in Model LFIMCA - 75.